This week's update takes us away from my familiar stamping ground to the other end of the Malvern-Ashchurch railway. 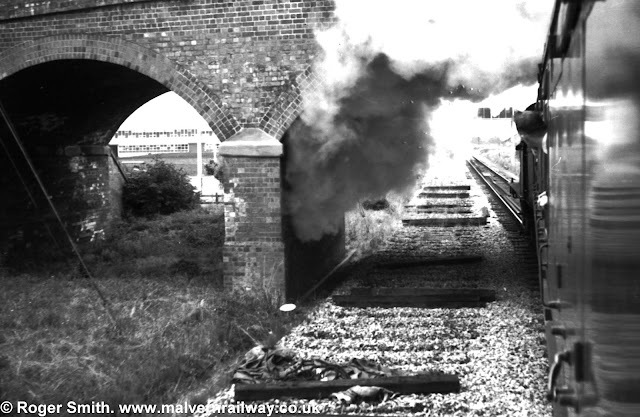 The following pictures come courtesy of Roger Smith's excellent Flickr page and show the Northway Lane bridge over the railway at Ashchurch, as well as the Mythe embankment and tunnel portal outside Tewkesbury. The tunnel picture is particularly interesting: I haven't been able to find many shots of the Mythe tunnel so far and Roger's shot clearly shows the small bridges that were ripped up as part of flood prevention works in 2013. 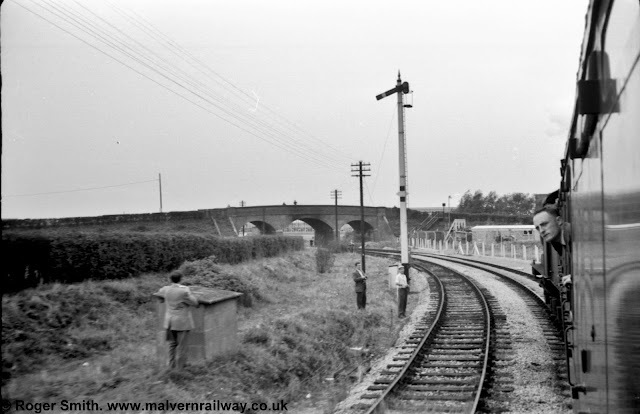 The Northway bridge photos are worth a look too: so much of the site around Ashchurch station was levelled but as far as I know the bridge remains, even if its original purpose has long since disappeared. One to look out for in future. 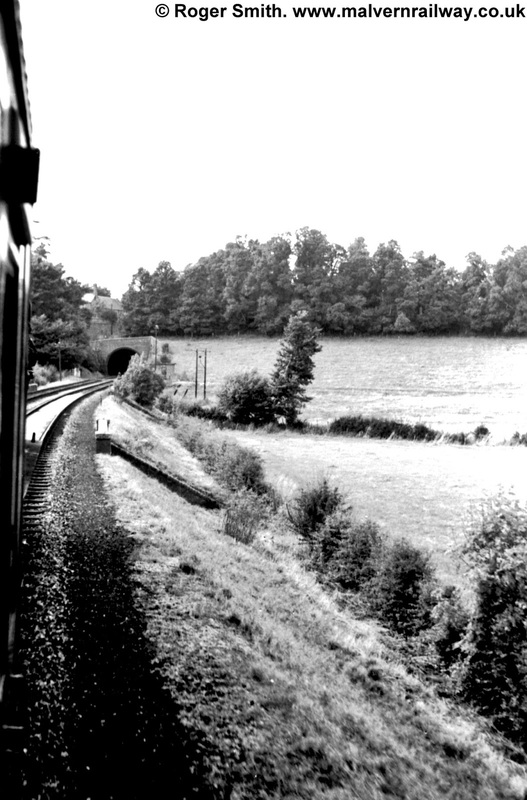 The Northway Lane bridge pulls into view outside Ashchurch. Letting off some steam under Northway Lane bridge.